In an internet café on Accra’s sunny High Street on a beautiful Wednesday afternoon, a group of teens gather awkwardly around a computer screen, their faces beaming with excitement. In a few minutes they alert the attendant that they are printing a few documents. Then the room erupts into a stream of “Let me see! Let me see...” as they run out the shop, crowding to get a glimpse of the piece of paper. Kojo, the attendant, catches my eye and explains that the teenagers had come in to check their High School results. According to him, for only 5 cedis (1.55 USD), the anxious students can get a peek into their report before it is officially released by the regional examination council. Hundreds of students finish High School each year in the country and a large percentage of them look to further their education in higher institutions. Understandably, this makes the process of securing admission into higher learning institutions quite competitive. Kojo says getting this early insight into their performance enables the youngsters to prepare for the next stage of their lives without wasting precious time. “You cannot imagine the importance of things like this in the country today,” he explains. Today, virtually all sections of the Ghanaian population - students, workers and retirees alike - access the internet easily and regularly. This has made the country a fertile ground for online-based enterprises. Dumsor is named after a colloquial term used to describe the load shedding exercise. The app was developed by KodeFusion GH - a small software startup in Accra. The group has announced plans to update the app with the official load shedding schedule to enable its users to prepare for the frequent power outages. One of the co-founders of Dropifi, Kamil Nabong, told us that more than 18,000 businesses around the world use the customer engagement tool today - and about 43% of these companies are located in the North American region. Others are in Europe, Australia and Asia. There were some stale rumors about a government plan to create a tech park similar to Silicon Valley a few years ago. While many pundits have applauded the plausibility of this idea, not much has come out of it. 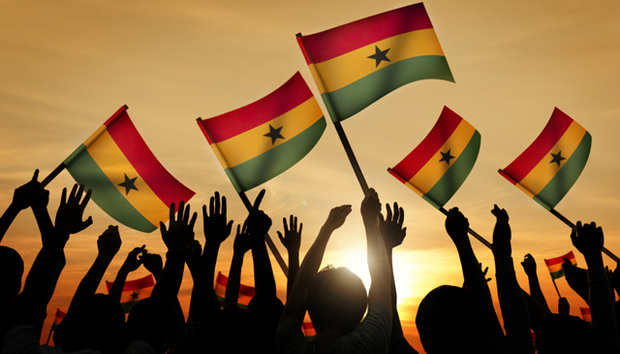 For more details about the tech players and investors supporting the Ghanaian tech startup scene, please take a look at this report [PDF] by former IBM analyst Martin Grenberg.